Despite being recently knocked out of the 2010 Vancouver Olympic tournament by an up-start Slovakian squad, superstar Swedish defenceman Nicklas Lidstrom has cemented his reputation as one of the game's all-time greats. Nick's accolades are well-earned, as he has turned in a Hall of Fame career full of achievements and awards at all levels and now, is now a member in one of hockey's most exclusive clubs, the Triple Gold Club. 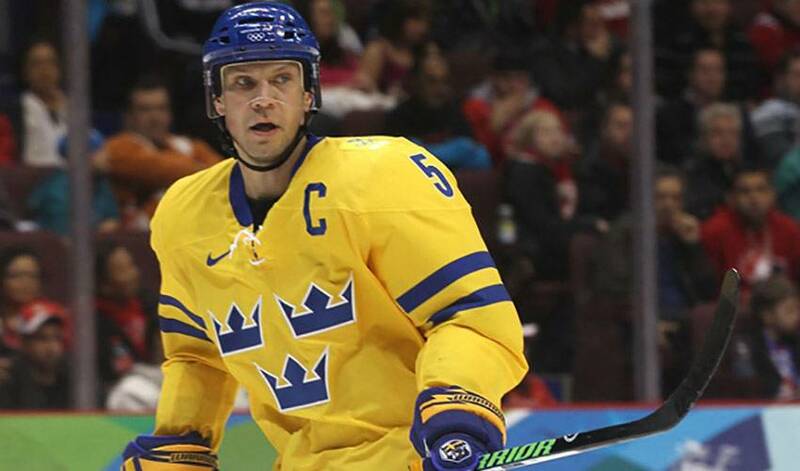 After capturing the World Championships and Stanley Cups already in his career, it was just before the 2006 Winter Olympic Games when Lidstrom spoke about the prospect of winning a gold medal for Sweden, something he had dreamed of achieving for a long time. Lidstrom didn't waste his opportunity to win gold in Italy four years ago. The defenceman, who has been touted the "Best European-trained player ever in the NHL" and the "NHL Player of the Decade," helped Sweden avenge their quarter-final upset to Belarus in 2002 at Salt Lake City, scoring the game-winning goal in the gold medal game against Finland. In doing so, Lidstrom joined a select list that currently only includes 21 other hockey players around the world in becoming a member of the prestigious Triple Gold Club, adding an Olympic gold medal to go with his previous Stanley Cups with Detroit, and his World Championship gold medal in 1991. He was also selected to the 2006 Olympic All-Star Team. Including a game played nearly 20 years ago, a contest Lidstrom pegs as one of the most memorable in his career. But far from the only one for the player who won three consecutive Norris Trophies, from 2001 to 2003, becoming the first defenceman since Bobby Orr to win three straight. Three years after earning his first gold medal with Sweden at the 1991 World Championships, Lidstrom competed in the 1994 World Championships in Italy and won a bronze medal. He also competed in the inaugural 1996 World Cup of Hockey (successor of the Canada Cup) and recorded three points in four games. He made his Olympic debut with Sweden at the 1998 Winter Olympics in Nagano. 2002 Winter Games in the United States where Sweden was upset by Belarus in the quarter-finals after being heavy favourites in the round-robin. Lidstrom made his second World Championships appearance in 2004, but only appeared in two games. That summer, he also competed in the 2004 World Cup of Hockey where he scored one goal. With a trophy case filled to capacity, a number of NHLPA-recognized milestones to his name and a reputation as one of the finest defencemen to ever skate in the NHL, Lidstrom has nothing to prove. As for the key to his success, Lidstrom believes it all starts in the skates. “Skating is very important and being able to read plays and see how plays develop and I think that comes with experience,” he said. “Once you play a couple years in the league and you kind of get a tendency of the speed of the game and the players what their tendencies are and what they are good at. And Lidstrom would know of what he speaks. After all, he's been skating rings around the competition for years. Lidstrom, Fedorov, Pronger and Housley highlight the 2015 Hockey Hall of Fame induction class.